Designed for use where high absorbency is required to handle heavy drainage, keep wound dry and promote healing. 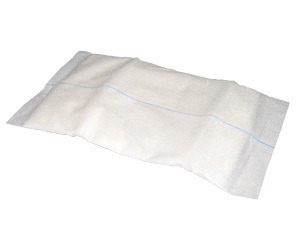 Non-woven facing and highly absorbent cotton filler with rayon fibers diffuse liquid throughout the pad. Hydrophobic backing helps prevent strike through.